MSAPD is now rehearsing at the Bangor VFW on Thursdays, 6:30-9pm. The band is always looking for pipers and drummers, experienced or aspiring. We offer free lessons to those interested in being a part of the band, so contact us for more information! MSAPD has a Facebook page! Become a fan to get regular and timely updates on band news and events, view photos and videos, and more. Click above to visit our Facebook page. We are a bagpipe band based in Ellsworth Maine. 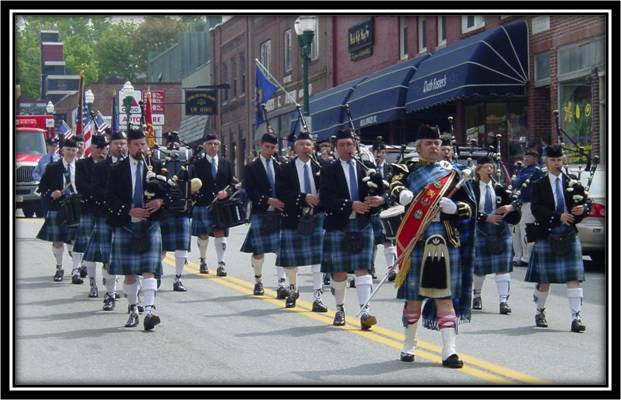 MSAPD entertains audiences throughout Maine in parades and concerts, competes in Highland Games in New England and Canada, and provides educational presentations to Maine's school children.